This is a slice of our first homemade pie of Fall, a Concord grape pie. Like many people, hearing about a grape pie is a new thing. An oddity in the homemade pie world. I mean, how many times have you ever seen a grape pie in your life? I have never seen one for sale at the supermarket or at a bakery. However, when I was a young child growing up in Iowa, my grandmother made grape pies all the time when grapes were in season. So when I saw this recipe, I knew I had to give it a try. Remembering the taste of her grape pie made me want to make this. 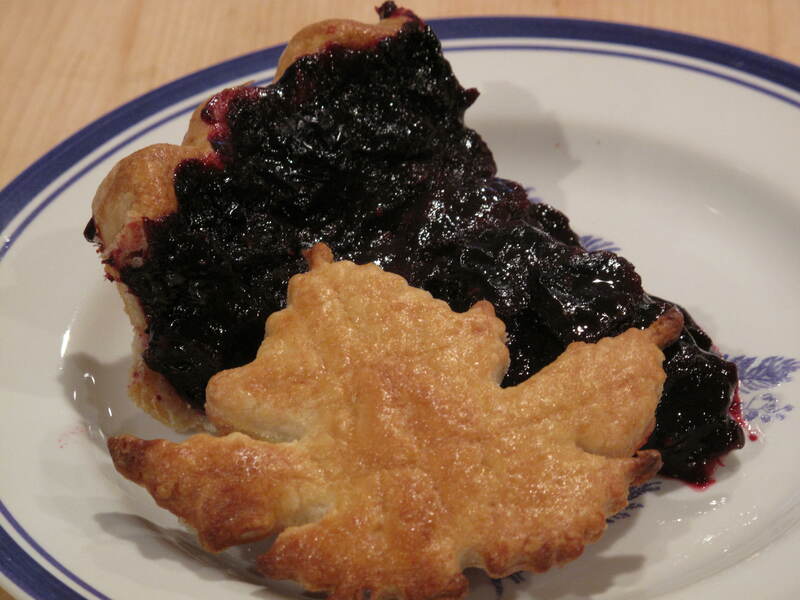 Although not a common pie, grape filling is a really good way to fill a pie crust. I do have to disclose that my grandma’s grape pie was different from my grape pie in one major respect. Hers always had a lot of seeds in the filling. I remember eating her grape pie and chewing on a seed and whining, “Grandma, there is a seed in the pie.” She would reply, “Just shut up and eat it. Do you think I have all day to sit and seed grapes?” It is true that the grapes you use for this recipe, Concord grapes, contain a lot of flavor and a lot of seeds. You can spend a lot of time scraping the seeds out of the pulp with a knife, but I have discovered a way to do it in a much faster manner. 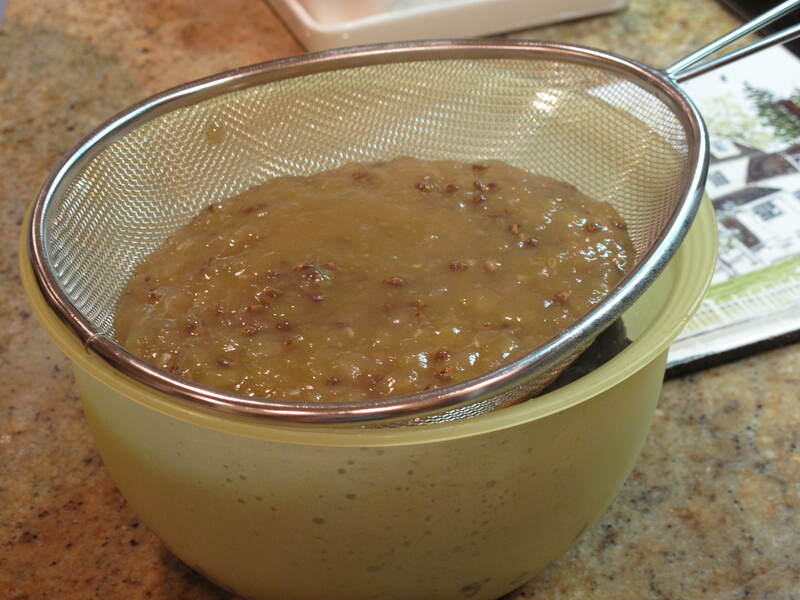 I boil the pulp for less than 10 minutes and then strain the seeds out through a sieve. To start this recipe, you need to find some Concord grapes. 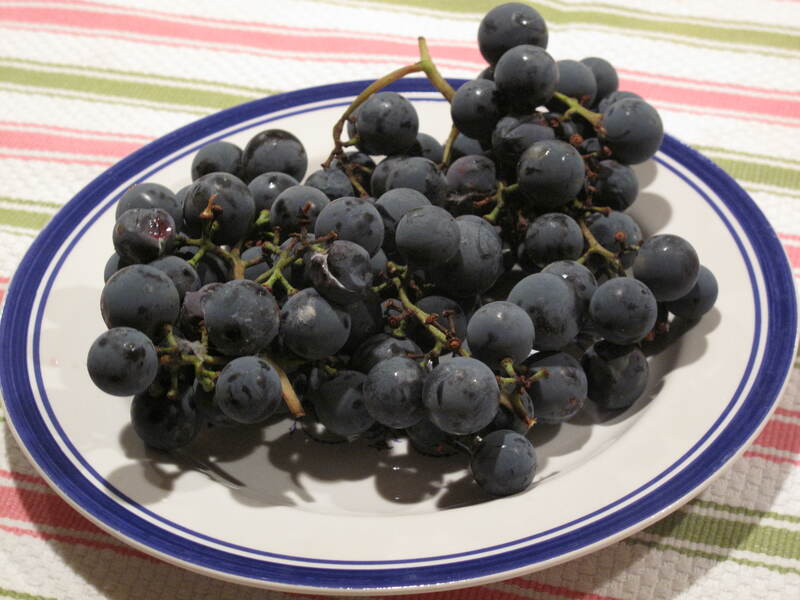 Concord grapes are large, sweet grapes that appear dark purple (almost black) in color. They have thick skins and are in season in my neck of the woods for a very short amount of time. Most of the time, you see them in Connecticut at the beginning of October through the middle of November. Originating in the 1840s near, not surprising, Concord, Massachusetts, the most familiar American grape is the Concord grape. Winter hardy, the vigorous plants can produce up to twenty pounds or more of the fruit per vine per year. Well-established grapevines can produce quality fruit for more than forty years. The Concord grape is responsible for making the famous and popular Concord grape jelly that we all know and loved as kids (and probably as grown ups too). 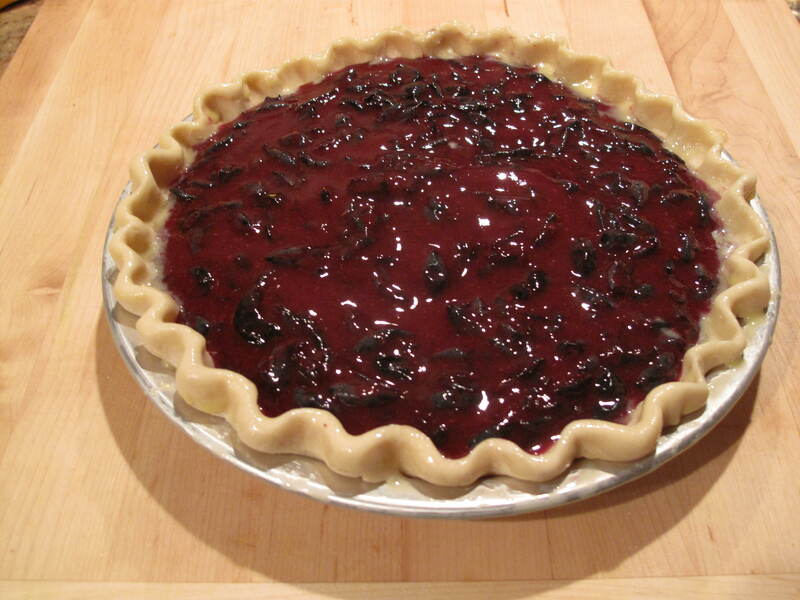 Here’s how we made our first pie of the Fall…our Concord grape pie. 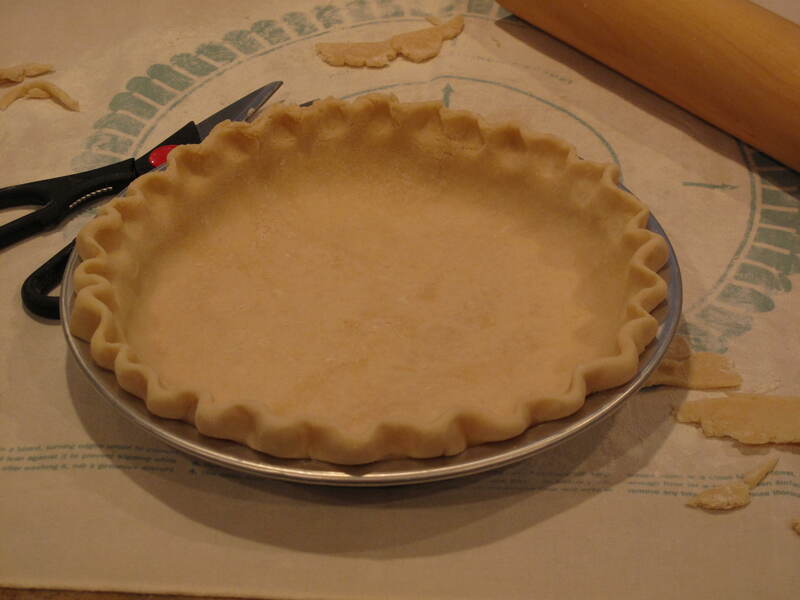 On a lightly floured work surface, roll 1 piece of pie crust dough into a 13-inch round. With a dry pastry brush, sweep off the excess flour. Fit dough into a 9-inch pie plate, pressing it into the edges. Trim to a 1-inch overhang all around. Crimp edge as desired. Chill pie shell until firm, for at least 1 hour. Repeat process for rolling out dough. 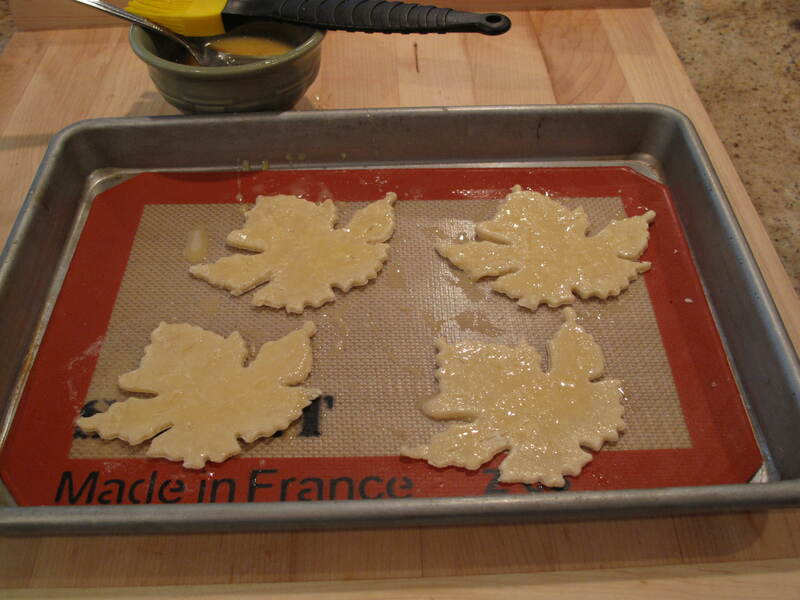 Using a 4-inch grape leaf cookie cutter, cut out 4 leaves from dough. Transfer to a baking sheet, cover with plastic wrap and refrigerate overnight. 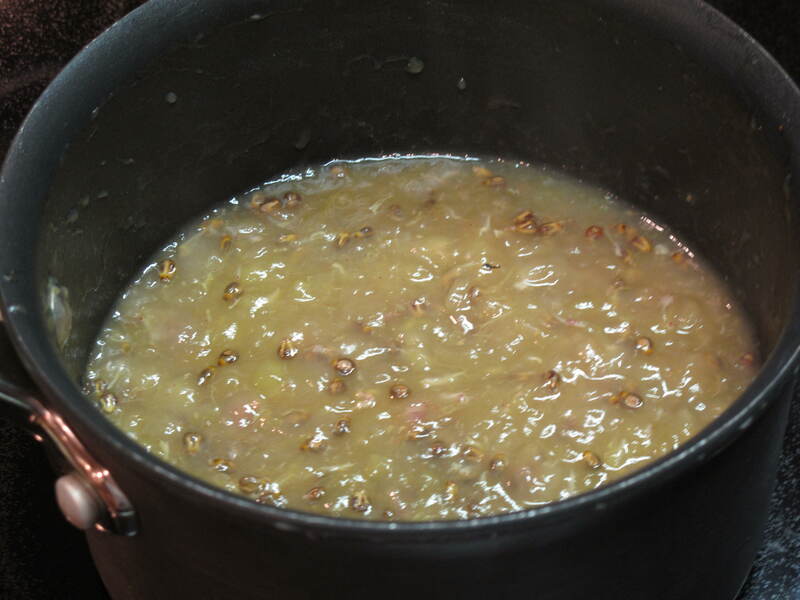 Place pulp in a saucepan and bring to a boil. Cook until the seeds separate from the pulp and the pulp breaks down, less than 10 minutes. 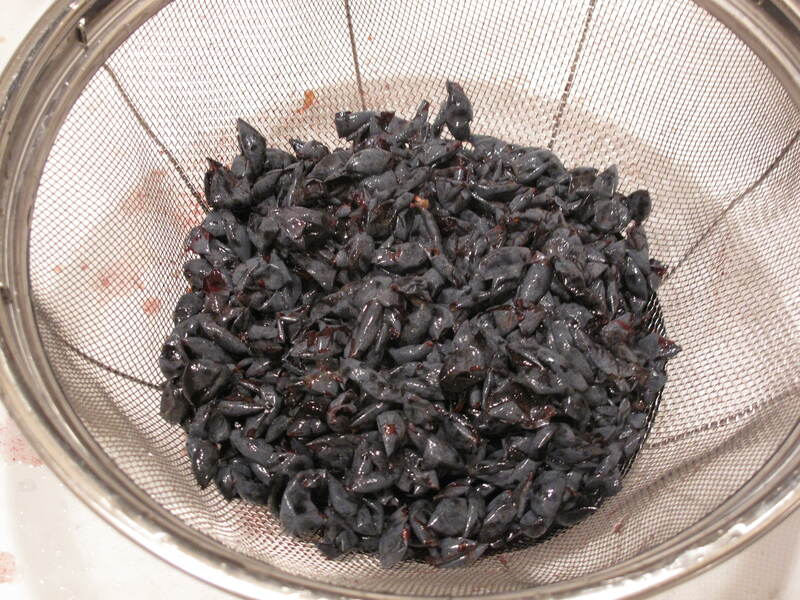 Strain the mixture through a sieve into the bowl with the reserved skins. 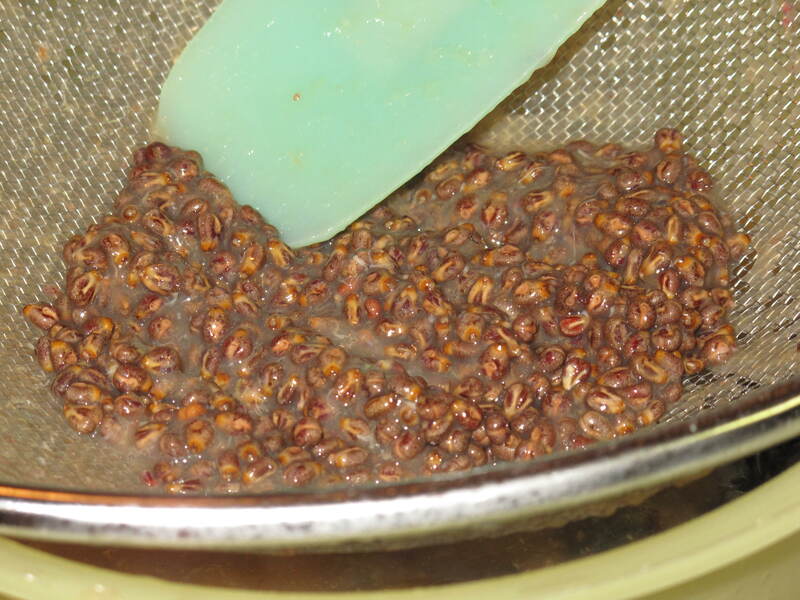 Here are the seeds left over after your straining is complete. Discard them. Let cool to room temperature before placing in the refrigerator for 2 hours. Do not overfill your pie crust with the grape filling. It does expand and you don’t want it to overflow. When you give your pie a little shake and see the filling jiggle, your first instinct is to think your pie is not cooked enough. It is. Remember all the cornstarch you put into the filling? As the pie cools, the cornstarch thickens the juice and sets it firm. Preheat oven to 350 degrees. 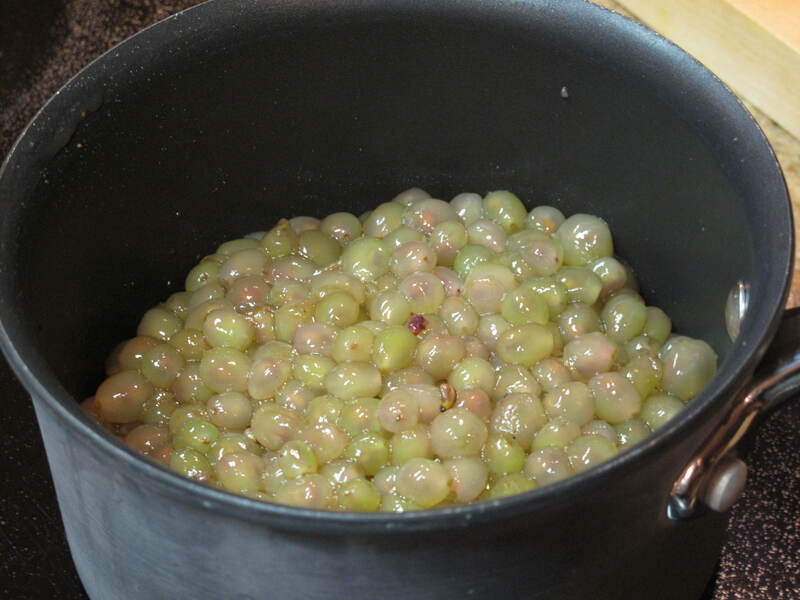 Remove reserved grape leaves from refrigerator and brush with remaining egg and water mixture. Bake until golden brown, 15 to 20 minutes. Transfer to a wire cooling rack; let cool. Before serving, place grape leaves on top of filling. This pie has a great flavor. Great flavor that also surprises the folks that you serve it to. Maybe your friends have had a grape pie? My friends seem to be shocked that I used Concord grapes to make a pie. After one taste, they all want the recipe. 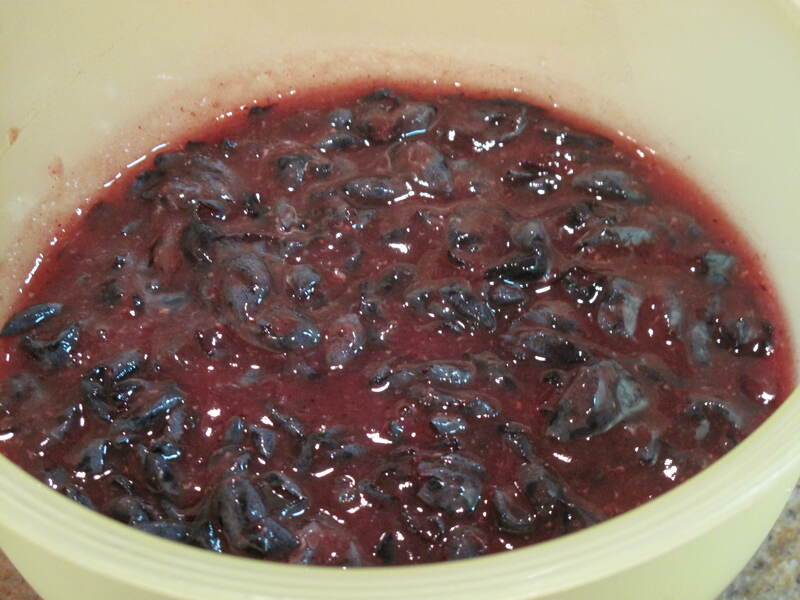 Since time is running out on Concord grape season, get to your supermarket and pick up some Concord grapes and make this tasty and different dessert. You’ll be glad that you did. Have you ever eaten a grape pie before? This entry was posted in Food and tagged Acorns, Baking, Beauty, Blog, Cooking, Dessert, Entertainment, Fall, Family, Food, Fun, Life, Lifestyle, Love, My Life, Photos, Recipes, Thoughts. Bookmark the permalink. That looks grape, err great! Oh yes many times. I have never made one but have eaten many slices of my mother-in-law’s pies. In fact she used our grapes to make the pie. Your pie’s appearance is great and probably tastes as good as it looks. Great job. If offered, I would try a piece. Have many years on me but can’t believe I have never eaten or seen a grape pie. Wow, I have never even heard of a grape pie. 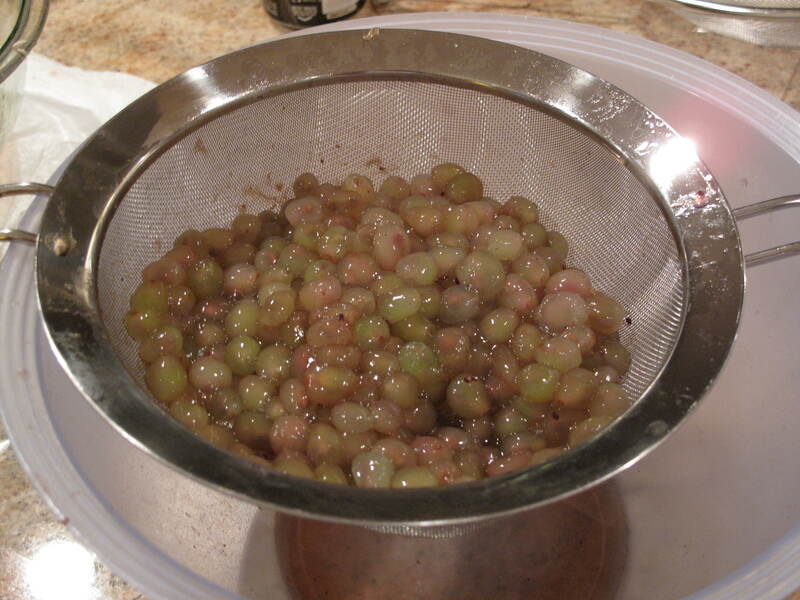 However, we do have some grapevines and I am tired of making so much jelly. (I haven’t been able to figure out how to make wine yet.) Maybe I will give this a try. Thank you for the recipe. Hi Mama Lisa. Welcome to Acorns On Glen. Make the pie..it’s really good. You can use my recipe for the pie, but the deal is, when you learn to make wine, teach me!! Sounds fun. Come back and visit us soon.